Beirut (AFP) - US soldiers are in Kobane, the town in northern Syria nearly destroyed in fierce fighting with the Islamic State group, to train Kurdish forces to battle the jihadists, Kurdish sources said Thursday. Mustapha Abdi, an activist in the town on the Turkish border, told AFP the American instructors had arrived "in recent hours", in what is the first official deployment of US ground troops in Syria. A source with the Kurdish People's Protection Units (YPG) said the Americans would help plan offensives against two Syrian cities held by IS -- Jarablus and the jihadists' Syrian "capital", Raqa. At the same time, they would have help coordinate with the Kurds and their Arab and Syriac Christian allies on the ground air strikes on IS by the US-lead coalition, the YPG source said. Abdi said that the troops who had arrived were a "first group of instructors" who would train the Kurds. Rami Abdel Rahman, the director of the Syrian Observatory for Human Rights, a British-based monitor, said "more than 50 American instructors have arrived in northern and northeastern Syria". He said about 30 were in Kobane itself, with the rest in Hasakeh province in eastern Syria. Abdel Rahman, whose group relies on a local network of sources, said the US troops are expected to rendezvous in Kobane to train fighters from the Syrian Democratic Forces, an alliance of factions backed by the United States. The US Central Command declined to comment on details. "We have said before that we will be putting a small number of troops on the ground in Syria to coordinate with our partners there in a non-combat role. We will not be providing the specifics of their whereabouts or travel plans beyond that," a statement said. The news comes after Brett McGurk, President Barack Obama's special envoy to the coalition, said Sunday that US forces would be arriving on the ground "very soon". At the end of October, Obama authorised the deployment of 50 special operations troops to Syria, and McGurk said their job would be to "organise" local forces. A key objective will be to "isolate" Raqa, he said. The alliance of local fighters has already retaken more than 1,000 square kilometres (386 square miles) from IS and killed around 300 IS fighters, McGurk said. 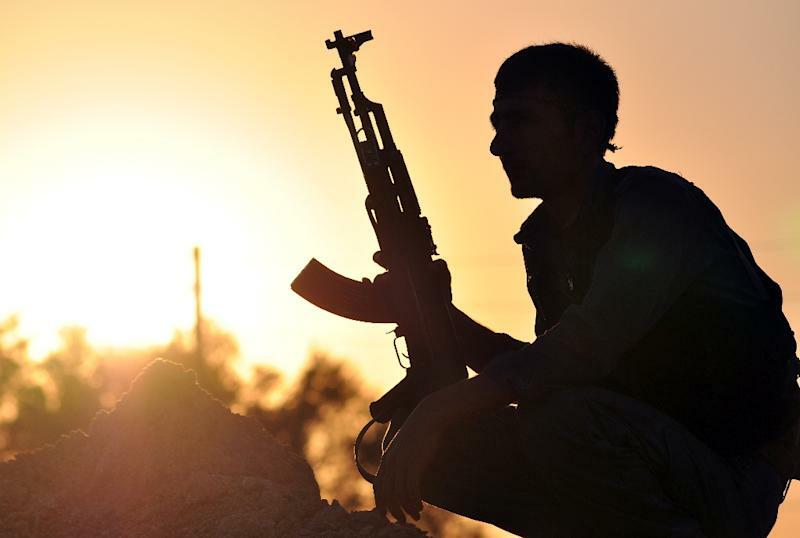 IS began an offensive on the Kobane area, which lies right on the Turkish border, in September 2014. Within a couple of weeks it had captured scores of villages and towns around Kobane city and attacked it, prompting thousands of Kurds to flee their homes.